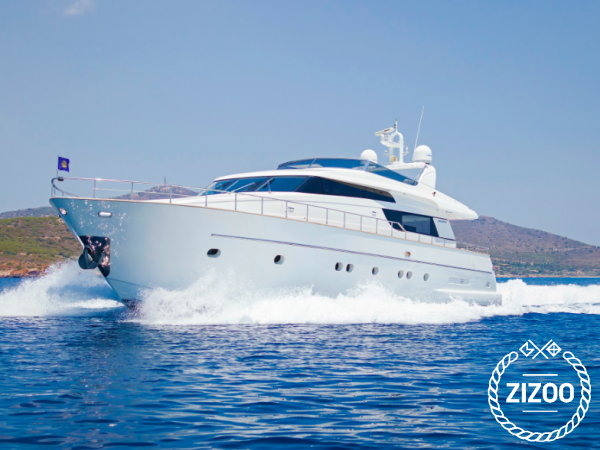 Charter the ultimate superyacht in Greece with Zizoo. The San Lorenzo 72, which is available to charter in Athens and throughout Greece, is sure to take your breath away. This fully crewed superyacht by the French yacht manufacturer, Jeanneau, will lead you on a trip of a lifetime. Accommodating up to 8 guests in its deluxe suites, the San Lorenzo offers an incredible experience both on board and off. When not sipping on champagne in on the spacious deck or lavish interior, you and your party can test the waters on one of the yacht’s many water toys. The charter will take cater the trip according to your every desire. Sit back and relax as the 3 member crew brings you to Greece’s best beaches and lively beach bars and clubs. Requested 131 times this week!